How to Fix Shellshock Bash Vulnerability Tutorial : Shellshock or the “Bash Bug” vulnerability allows remote attackers to execute arbitrary code given certain conditions, by passing strings of code following environment variable assignments. 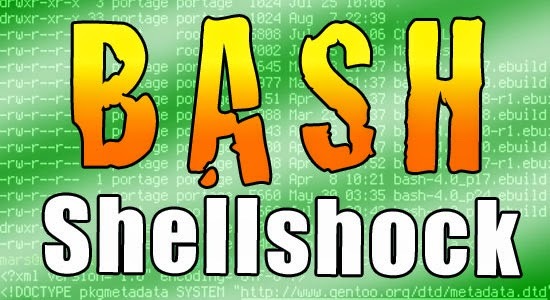 Because of Bash’s ubiquitous status amongst Linux, BSD, and Mac OS X distributions, many computers are vulnerable to Shellshock; all unpatched Bash versions between 1.14 through 4.3 (i.e. all releases until now) are at risk. Today we will learn how to fix Shellshock bash Vulnerability on servers. Complete description of the bug/Vulnerability can be found at CVE-2014-6271 and CVE-2014-7169. Today i will show you how to test if your machines are vulnerable to shellshock aka Bash Bug and, if they are, how to update Bash to remove the vulnerability. How to check that you are vulnerable to Bash bug or shellshock bash bug? If you see the output as “Bash is Infected”, your version of Bash is vulnerable and should be updated. The “echo Bash is Infected” portion of the command represents where a remote attacker could inject malicious code; arbitrary code following a function definition within an environment variable assignment. If your bash is vulnerable, then please find below tasks to fix Shellshock Bash Vulnerability. How to test Remote sites or CGI Scripts that they are vulnerable to shellshock Bash Bug or Not? ‘ShellShock’ Bash Vulnerability CVE-2014-6271/CVE-2014-7169 Test Tool. If you wish to test complete website i.e. from root, enter the website url into text box below “Test Web Site Root and Known URL Attack Points” and press begin test. How does above scanner works? Bash Bug scanner test a website by building a special crafted header and if it get an answer back from website, then you are vulnerable to Shellshock. We won’t collect any critical information from any scanned website. Also, please have in mind that your website might still be vulnerable in a particular page, ussualy found in /cgi-bin/* folder or from special private file that is using bash shell commands. If you only wish to test a specific CGI script then use the text box below “Test Specific Script URL” and press on begin test. Now check your system vulnerability again by running the command as mentioned above. Apple has not released the patch for OS X user yet but soon we will be having patch for Apple OS X too. That’s it for today. If you have any issues, feel free to ask in form of comments.